I'm starting to ask myself whether committing to 91 daily feel-good food posts though spring is a bit nuts. While the ideas was to nurture right brain, fun, food, creativity and my sane self after many years in the corporate sector, and to share food love and maybe even inspire you, the technical side of things, as my brother would say, sh... me to tears. I mean, the thinking, planning, promoting yourself, and handling the various 'marketing platforms' when you'd rather be planting tomatoes is exactly what I was trying to avoid in my new greener, cleaner life. It seems, however, that the way to get to it is, initially at least, through the computer screen. After a half hour walk around the local neighbourhood, finding a bay leaf tree (Lauris Nobelis) and a lie on the grass to surrender whatever it is I'm doing (or not doing) to forces bigger than me, the answer to my question as to whether I'm nuts is undoubtedly yes. The answer to whether I regret my commitment to 91 spring posts is undoubtedly no. Call me naive, call me frivolous, call me whatever you please, and know I've been called worse and I don't care. 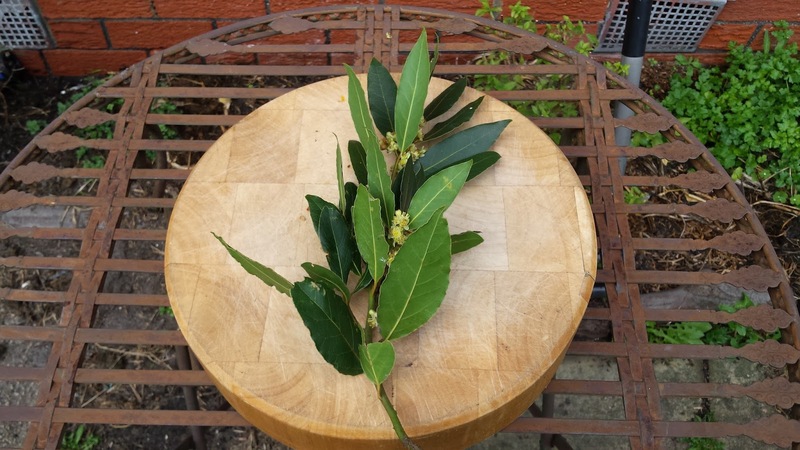 A small daily commitment, even as small picking a branch of bay leaves, folding one to smell it, and hanging it in the kitchen for drying in readiness for the pot, keeps me balanced, keeps me sane, keeps me feeling in a busy, challenging world that otherwise feels a bit nuts. Can you take a moment to share or comment in support of slower, cleaner, greener? Not to mention me. Until next time... I'm off to learn myself some html.... Really?